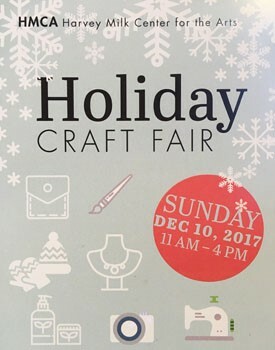 If you are looking for local, handmade gifts to give this holiday season, shop at the 2nd annual Holiday Craft Fair at the Harvey Milk Center for the Arts on Sunday December 11 from 11 a.m.–4 p.m. There will be there a wonderful selection of unique gifts for all ages and interests. 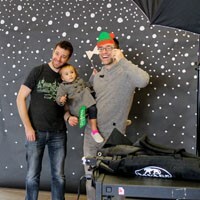 This a family event with activities for all ages: music, popcorn, interactive art demonstrations, and a holiday portrait photo booth. 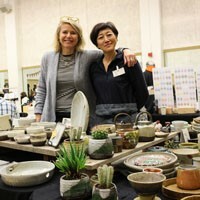 The event will feature local vendors; vendor acceptance will be juried by a panel that will determine the best fit of category and quality of merchandise. 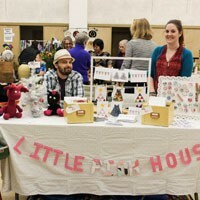 A vendor booth costs $50; tables are $5, chairs provided. If you are interested in hosting a vendor booth or table or selling your crafts, please submit your application and fees by November 20. Here is the link to the online application https://docs.google.com/forms/d/e/1FAIpQLSctIx0AJDRVRb8UpVR-nmkVGnzTC1qHN3csUAx1omub9rTZRQ/viewform. For more information about the event, please contact Robby Roller at 415-554-8742 or hmcaevents@sfgov.org.